ABSOLUTELY GORGEOUS NEWLY REMODELED 2 BEDROOM 2 BATH DOUBLE-WIDE WITH A BONUS ROOM THAT IS JUST WAITING FOR ITS NEW OWNER TO COME MAKE IT THEIR OWN. THIS HOME IS COMPLETELY FENCED FOR YOUR FOUR LEGGED FAMILY MEMBERS TO ENJOY THE OUTSIDE WEATHER WHILE YOU SIT ON YOUR SCREENED IN PORCH AREA AND ENJOY YOUR TIME TOGETHER. 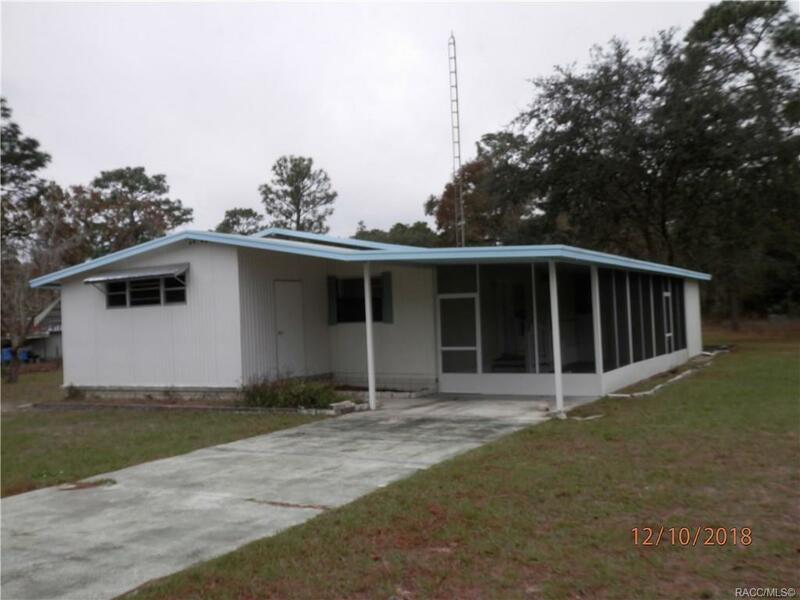 LOCATED IN A VERY NICE NEIGHBORHOOD AND CLOSE TO SHOPPING AND ALL THE AMENITIES HOMOSASSA AND CITRUS COUNTY HAVE TO OFFER. COME SEE THIS ONE TODAY.